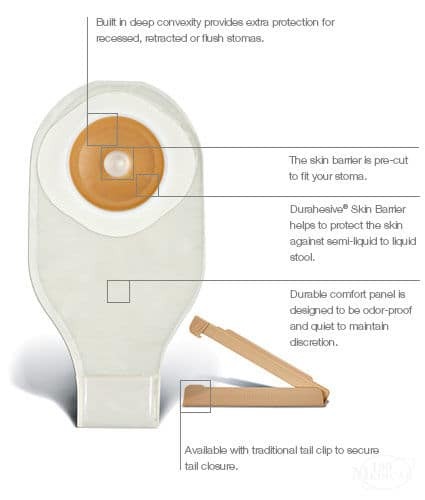 This manageable one-piece colostomy system is lightweight and flexible, combining the ease of a pre-cut Durahesive® skin barrier to protect skin from output along with a drainable colostomy pouch that’s designed to be comfortable, discreet, and odor-free. 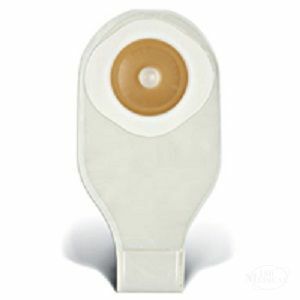 Convex barriers are best for those who have a recessed or flat stoma. Learn more about the product options and sizes by scrolling down below, or contact us today for additional information on the right colostomy supplies to fit your individual preferences, needs, and lifestyle.